Posted December 18th, 2016 by Tad Dixon. *This is part two of the ‘Sport Mazda First Look’ series, you can find the first article here. First Team Commercial is proud to introduce Central Florida to the all-new Sport Mazda! This 31,000 square foot facility is the newest and largest dealership of its kind in the state of Florida. Over the last 18 months, FTC has served as the project management firm responsible for coordination of all aspects of the project including design, permitting and construction. Acting as the owner’s representative, FTC managed each step of the project with the client’s best interest in mind. Sport Mazda is set to open in January 2017, but we wanted to give just a little sneak peak of what’s to come.. 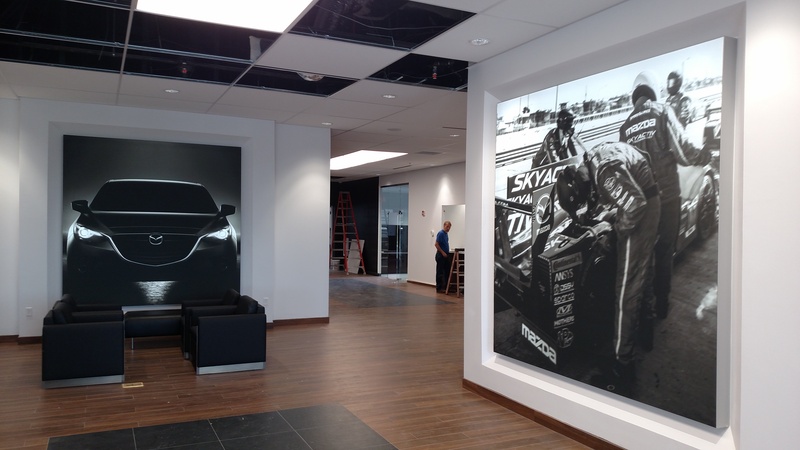 The dealership features modern finishes including back lit graphics, cove lighting and frame-less glass partitions. 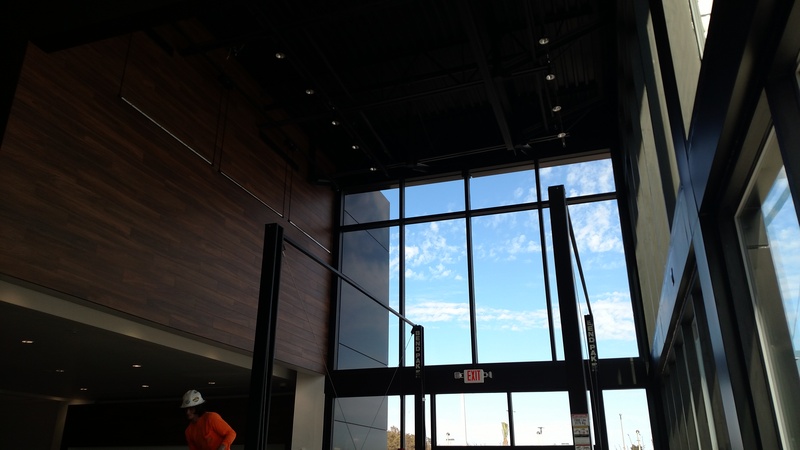 The Customer Lounge will feature (2) screens, one displaying entertainment and the other a live video feed of the service shop. 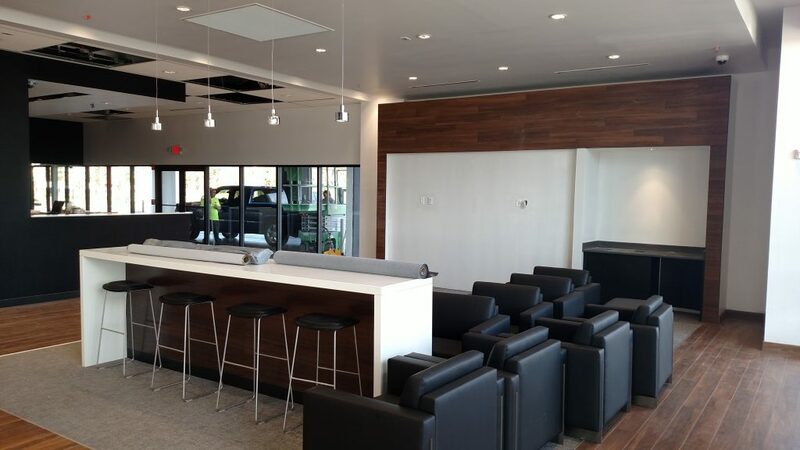 Customers will enjoy comfortable lounge chairs and fresh brewed Starbucks coffee. 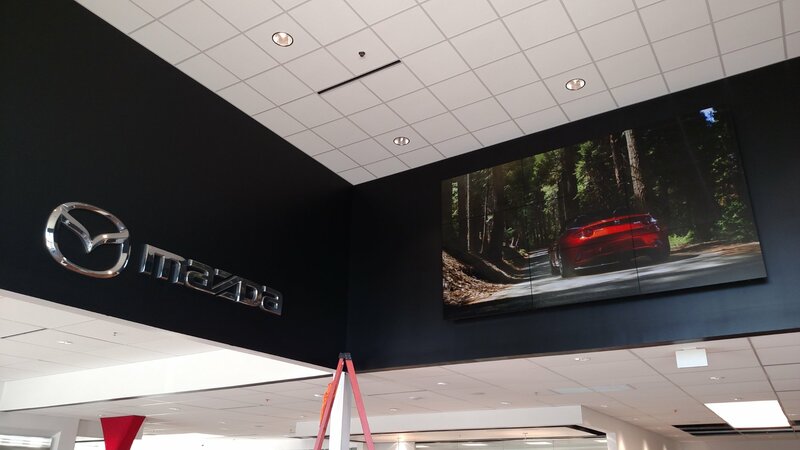 This space is affectionately referred to as the “Jewel Box” and will feature (2) Mazda vehicles both lifted in the air and visible from Highway 441. 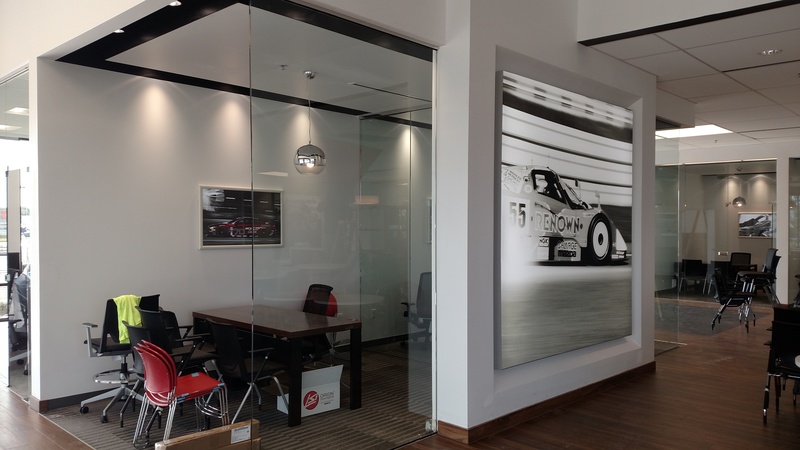 Themes of racing can be found throughout the dealership, as well as modern photo art of Mazda’s iconic “dynamic wing” logo and branding. The service center is completely air conditioned with ultra-bright LED lighting and state of the art service equipment. 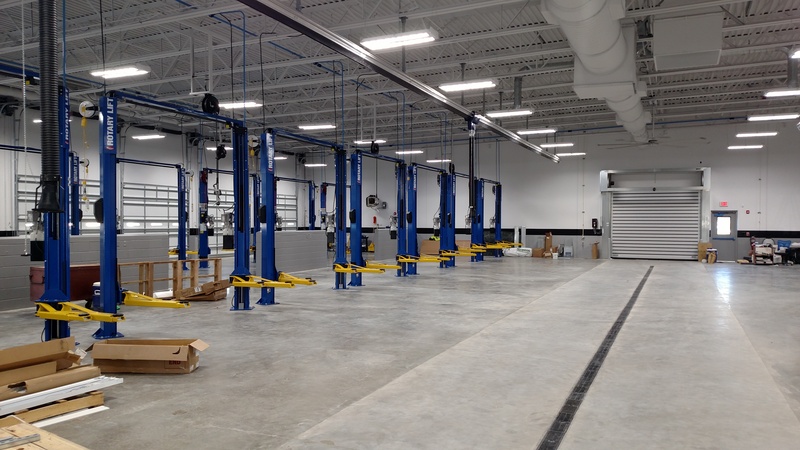 The service area features high-speed Rytec doors that fully open within a few seconds and then quickly close to maintain a comfortable environment for the shop technicians. We take pride in providing our clients with the highest level of service and expertise as we navigate exciting new projects like Sport Mazda. We invite you to follow First Team Commercial on LinkedIn as we continue to roll out new project photos and updates. First Team Commercial is a full service Commercial Real Estate firm located in Winter Park, FL offering brokerage, consulting and project management services throughout the Southeastern United States. Please visit our website at www.ftcommercial.net for more information or call directly to 321.594.6771.